Looks may not be everything! Maintaining an ideal weight range is equally important for an attractive personality and a healthier you!Maintaining healthy weight also contributes to increased feelings of joy and strength, and to greater self-esteem. 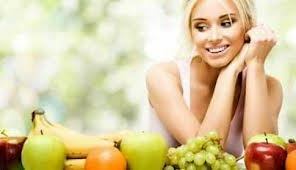 Learn in this post, ways to keep a check on your weight via eating balanced diet, following regular exercise and some of the beneficial herbal remedies to shed off extra pounds off your body. 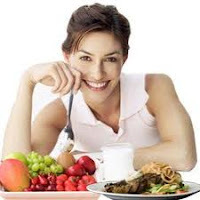 A balanced diet and any form of exercise plays a vital role in reducing as well as maintaining a normal weight. One should eat a diet good in green vegetables and fresh fruits. Some of the fat burning spices such as black pepper, long pepper, mustard, ginger, cinnamon and cayenne should be added to the meals or used in preparations. Reduce the intake of salt & carbohydrate rich, high calorie foods (eg. rice, potatoes). Having vegetable soup or eating papaya at dinner time is helpful in reducing weight. Eating a cabbage salad also helps reduce weight as tartaric acid, an ingredient in the vegetable is known to inhibit conversion of dietary sugar to fat. Along with diet, regular exercise is quite beneficial. Brisk walk, skipping a rope, jogging, aerobics, yoga and pranayam are among few exercises that can be of help to attain a healthy weight. Also, one should eat slowly as it satisfies hunger with less food, thereby reducing calorie intake. Drink plenty of water (3-4 litres/ day) as it has no calories and reduces hunger. Squeeze a lemon in a glass of bitter gourd juice and have it every morning. Boil about 10 gm of triphala (a combination of equal amount of Amla, Harra & Beheda powder in a glass of water for 10 minutes. Consume it warm in the morning. Consuming 2 cups of Green tea is also believed to shed excess fat. To keep a check on weight, soak a few leaves of Indian plum/ Jamun overnight. Discard the leaves & drink water in the morning on an empty stomach. Pound a ginger rhizome & boil the same in water. Add to it, ½ tsp lemon juice and 1/4th tsp black pepper powder. Have it when hot. Take ½ tsp of guggal powder, a tsp of ginger rhizome powder and mix in honey to make it into a paste. Administer it once a day to lose weight. Mix in a glass of lukewarm water, a tsp of honey with ½ tsp lemon juice. Drink it every morning and evening to lose weight.